From inside Showit click on your name in the lower left-hand corner. Select a site design from Showit Designs and Your Designs (any designs you have previously imported will appear in Your Designs). 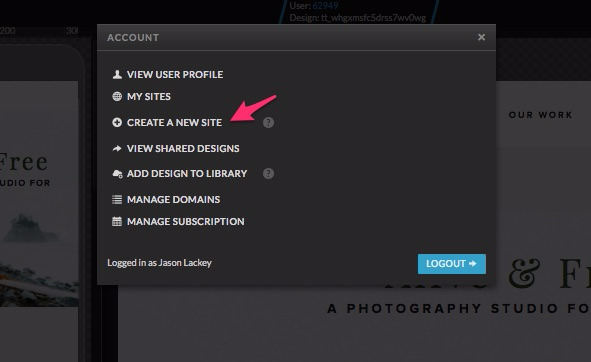 Start customizing your new site design!